Perfect for shaping precious metals. Case-hardened, drop-forged steel. Heavy metal base has holes for mounting. 3" high. 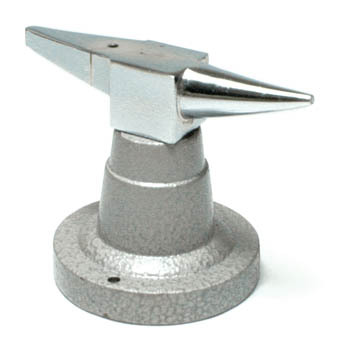 Hammers & Anvils: Our customers tell us that a smooth surface is important so you don’t transfer scratches, marks, or blemishes on to the silver or other metal you’re working with. Our customer service reps get helpful tips from customers all the time, and are happy to share their knowledge with you. Call us if you need assistance selecting the right tool for your application.